There are few photos of Stuka operations that can be dated so clearly as this set of two – taken by a propaganda company. Both are labeled August 23, 1941. However, despite clear and authentic evidence in the caption, we will see that this still might be misleading – possibly on purpose. According to the first image’s caption on the back, the aircraft pictured is on its way to the target, flying over the Dnjepr river and ready to dive and attack. 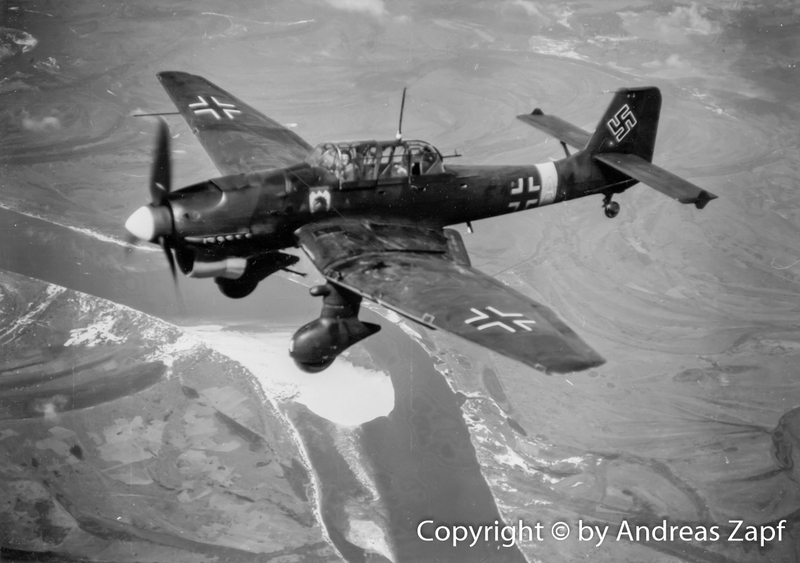 With respect to this individual aircraft, it can be said that this is a Junkers Ju 87 B-2 of 7./StG 77. The coat of arms – displayed below the windshield – shows a dark top area over the yellow background of the shield. The symbol is a gryphon’s head – this is the coat of arms of 7. Staffel. Furthermore, this aircraft shows the tactical markings F1+AM – again matching the markings of a III. Gruppe aircraft as the loss lists of the Generalquartiermeister confirm (although this specific aircraft is not listed). 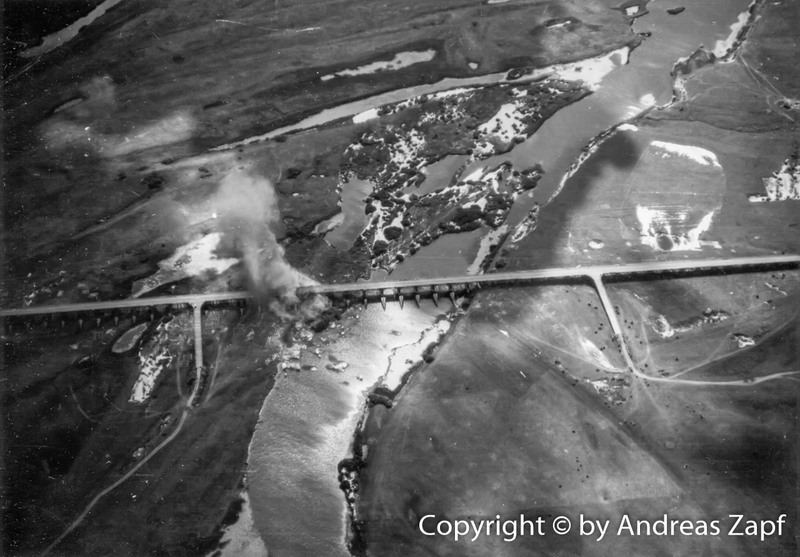 The second photo shows the results of the Ju 87’s operations – a bridge (said to be at “Nawos am Dnjepr”) which had been attacked by Ju 87’s of 2./StG 77. “Up until my last day in the east, we were battling two armored trains which manged to cross the Dnjepr near Kanew westbound and were giving our ground forces a hard time. 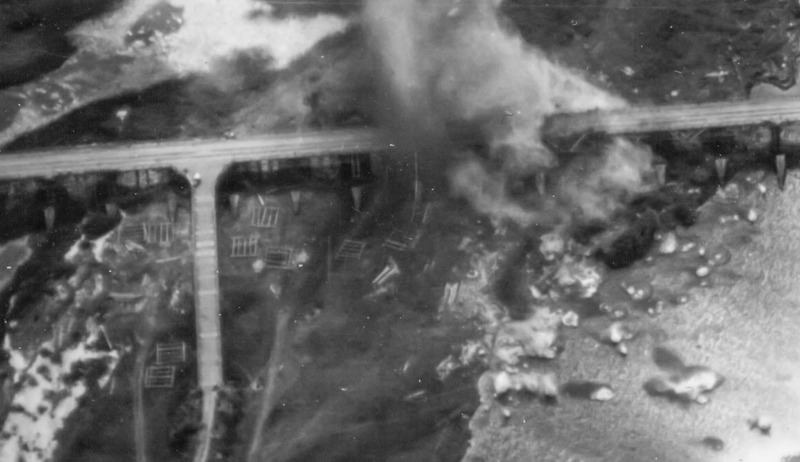 A closer look at the photo of that destroyed bridge shows two things: it could be a railway bridge as tracks seem to be visible on the bridge. And secondly, there is indeed a lot of blown away wooden grid structures visible in that image – and the bridge in fact seems undamaged. Is there proof that this is the bridge at Kanew (as opposed to “Nawos”)? Nope – it is not. The bridge at Kanew was a metal grid structure which even today is standing in parts. If you want to check it out, use Google Maps. The map – which is dated 1940 – does not show the bridge itself but it is not hard to complete the map by connecting both “dead ends” of the railway running along. Given that the bridge structure does not match, this can’t be the bridge in our photo. 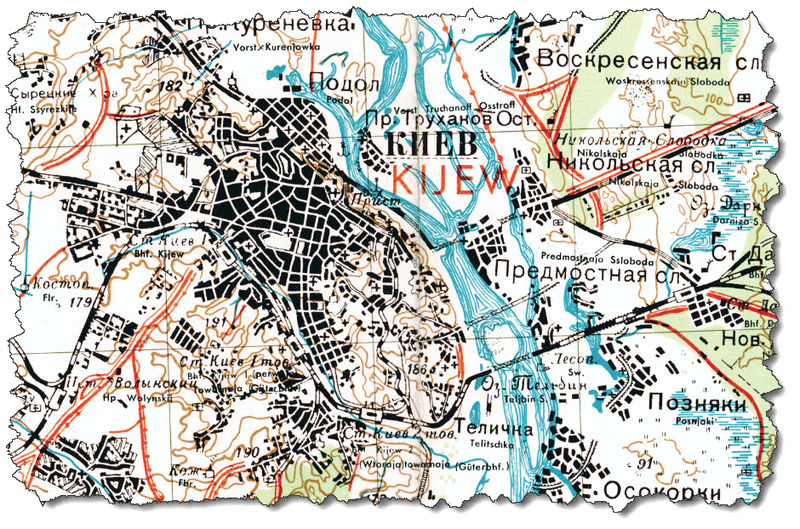 Following the river north, the next potential bridges are at Kiev but these are unlikely the one in out picture above – the surrounding landscape does not match that of a major city stretching to the banks of the river – so these three are likely “no matches” either. 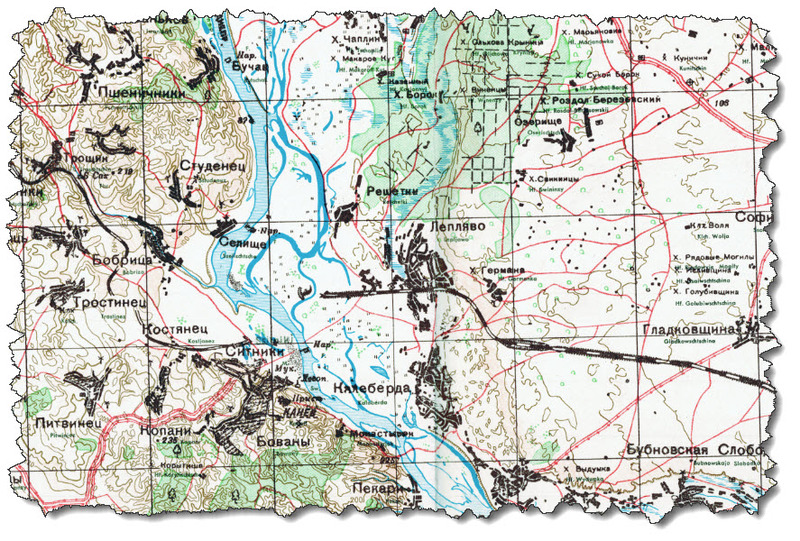 Unfortunately, the next map “north” – M-36-IV (West) Njeshin – is missing. The next one, M-36-I (West) Tschernigoff, however, is available. It shows the village of Nawosy on the southern part of the clipping and another railway bridge north at Nedanchichi. 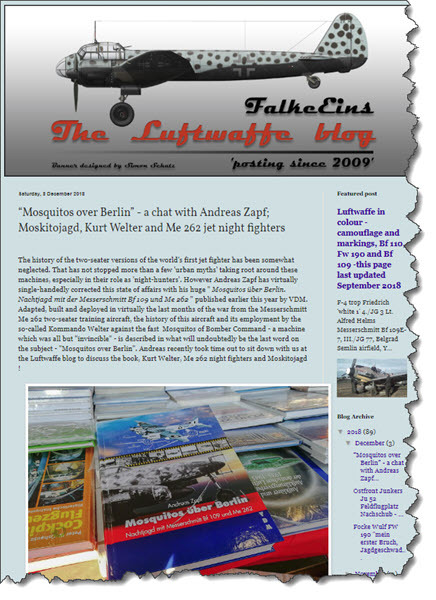 Over the past few weeks, I had regular contact with Neil over at FalkeEins, one of the leading Luftwaffe Blog site. 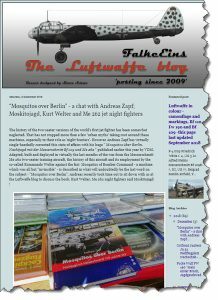 Neil was kind enough to pick up the topic of Mosquitos, Messerschmitt Me 262 Night Fightgers, and the Nachtjagd with the jets. He had some interesting interview questions that I hope I was able to provide him with some interesting answers and background information. Some sources in Literature say that Oblt. Kurt Welter and at least some of his pilots flew daylight missions to counter “Operation Clarion” on February 22/23, 1945. It is also said, that they made five claims, Oblt. Kurt Welter and Fw. Fritz Reichenbach scoring two Mosquitos each, while Fw. Gustav Richartz claimed a single twin-engine bomber1)Bowman, Martin: German Night Fighters Versus Bomber Command 1943-1945, Page 201. No. 107 Sqn. RAF lost 1 Mosquito, both crew members being captured. No. 305 Sqn. RAF lost 1 Mosquito, one crew member being killed and one captured. No. 418 Sqn. RAF lost 4 Mosquitos, four crew members being killed, two captured and two indicated as “safe”. No. 464 Sqn. RAF lost 2 Mosquitos, three crew members being killed, one captured. No. 487 Sqn. RAF lost 5 Mosquitos, eight crew members being killed, two indicated as “safe”. No. 605 Sqn. RAF lost 6 Mosquitos, five crew members being killed, three captured and two indicated as “safe”. So on Mosquitos, the 2 TAF lost a total of 24 aircraft – a major loss record for just two days. Unfortunately, the Morgenmeldung Luftwaffeführungsstab Ic only records the air operations of 1. Jagd-Division, 10./NJG 11 (or “Kommando Welter”) was flying under the authority of 2. 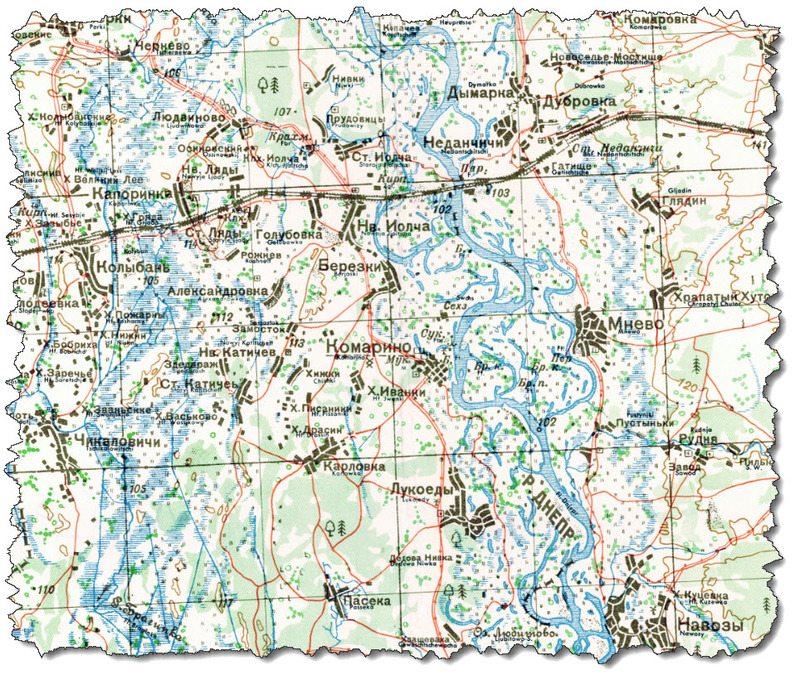 Jagd-Division during the month of February 1945. NARA holds a summary document containing a listing of crashed allied aircraft in Germany which has likely been compiled from German records captured after the war was over. This document – for February 22nd, 1945 – lists a total of 21 Mosquitos crashed in German occupied territory. Some of those Mosquitos listed can be traced back to the actual losses of “Operation Clarion” – others can only be guessed, some remain open. As mentioned earlier, No. 21 Sqn. RAF lost two Mosquitos in “Operation Clarion”, two crew members being killed and two indicated as “safe”. The two Mosquitos in question are PZ305 (with P/O Adams and F/SGT Nicholas as crew) and HR150 (with F/LT Hugh Henry Fielding Johnson [130659, RAFVR] and F/O Leonard George Harbord [152426, RAFVR])3)The National Archives, AIR 27/265: Operations Record Book No. 21 Sqn. RAF. While the first one performed a successful belly-landing at Brussels, the latter one failed to return. The crew rests at the Hannover War Cemetery, the Graves Concentration Report Form shows the cemetery of Ströhen as initial burial location, which usually is very close to the place of the actual crash. No. 107 Sqn. RAF has a single Mosquito which fails to return, HR188 flown by MAJ. Hunt and P/O Collins4)The National Archives, AIR 27/845: Operations Record Book No. 107 Sqn. RAF. She left her base at Cambrai/F at 11:18 hrs. 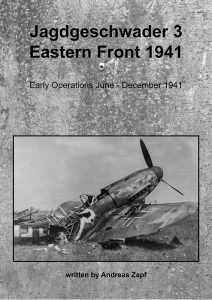 and reportedly crashed near Meyenburg, north of Bremen5)see Website Fliegerschicksale, Mosquito HR188. Cause for this loss was Flak, both crew members where taken prisoner. This unit reports one Mosquito missing, the “J-Aircraft”, Mosquito PZ380. She was flown by W/O Smith and F/SGT Robertson, leaving base at 11:35 hrs. She was last seen by the “A-Aircraft” of the squadron with one engine on fire and preparing to land about 8 miles south-west of Bremen6)The National Archives, AIR 27/1672: Operations Record Book No. 305 Sqn. RAF. 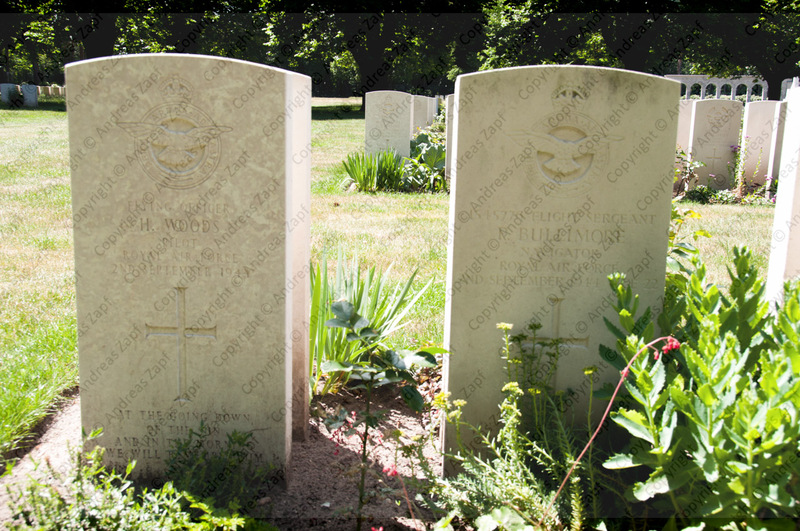 While F/SGT Robertson survives the crash, W/O E. Smith (1268888, RAFVR) is killed in the crash, the initial burial recorded at the cemetery of Kassebruch which is located approx. 30 km north-northwest of Bremen. The squadron lost four Mosquitos over the course of action, all listed under the date of “21st/22nd” in the Operations Records Book of the unit. All four crews had the operational target “Patrol Zwolle – Osnabrück” listed as assigned duty. First listed is the “X-Aircraft”, Mosquito PZ397 with W/CDR Wickett and F/O Jessop. It appears that the Mosquito has been shot down near Groningen/NL by flak, both crew members taken POW. Also listed is the “R-Aircraft”, Mosquito PZ388 with F/LT Hugh Murdo Hope [C23855, RCAF] and F/O Leslie Amos Thorpe [163879, RAFVR]. According to Canadian documents, the Mosquito was shot down by flak and crashed approx. 450 yards from the depot of Nieuwe Schans, about 27 miles east of Groningen/NL. Both airmen were killed in the crash. Next up – or rather: down – is Mosquito RS604, the “M-Aircraft”, flown by F/LT Hackett and F/O Brittain. Not much is known about this crash, however, both crew members seem to have survived the crash as there is no record of any deceased airmen by this name and date. It is said that they have been lost south of Terschelling/NL, over sea. Finally, Mosquito RS569 with F/LT Herbert Edwin Miller [138448, RAFVR] and F/SGT Wilfred Hooper [196283, RAFVR] is also lost, both crew members are killed in the crash. While F/SGT Hooper is still listed as “missing in action”, F/LT Miller is buried at the Reichswald Forest War Cemetery with no initial burial location noted. Two Mosquitos are lost from No. 464 Sqn. RAAF in “Operation Clarion” – the first one being NT177 with F/O Ronald William Alexander Rankin [J25391, RCAF] and P/O Derek Stephen Judd [165090, RAFVR]. While latter one survives the crash, F/O Rankin is killed. Canadian documents indicate his initial burial location as Rotenburg an der Wümme, just south of Hamburg which suggests that the location of the crash is somewhere near, maybe at the airfield of Rotenburg. Also missing is Mosquito HX920, flown by F/O Allan John McMahon [422870, RAAF] and P/O Kennedy Gowlett [426457, RAAF]. While F/O McMahon is still listed as “missing in action”, P/O Gowlett is today buried at the Hannover War Cemetery with the initial burial recorded at the Engelbostel Cemetery, north-northwest of Hannover7)The Grave Concentration Report Form lists an “unknown navigator”, died on Januar 10, 1945, which is a strong indication that – if correct – this identification in fact might be incorrect.. 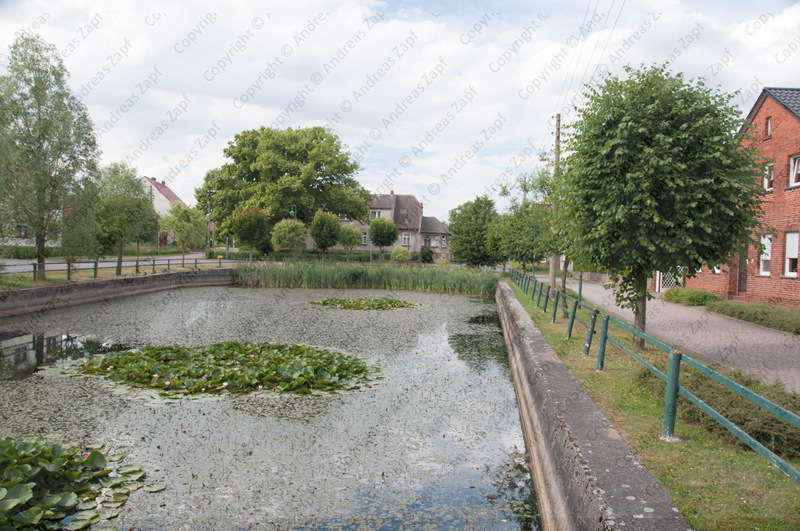 Given that the aircraft of the squadron operated in the same area, it is also possible that the second Mosquito crashed at Rotenburg is in fact HX920 – but that is a far shot. This squadron suffered the second highest loss of Mosquitos in “Operation Clarion” – a total of five aircraft went missing. First noted is Mosquito PZ395 with W/CDR Reginald William Baker (401748, RNZAF) and F/LT Alexander John Fowler (422654, RNZAF). Both crew members were killed in the crash of their aircraft, their bodies discovered at the cemetery of Bevern/Bremervörde. A second Mosquito lost is NS963, flown by F/LT Paul Christopher Wendover Sage [113425, RAFVR] and F/O John Cockburn [145110, RAFVR]. Both crewmen are killed, ther initial burial is recorded at Bevern/Bremervörde. The third Mosquito which did not return is NS981 with F/O Lance Dixon Gilbertson [421368, RNZAF] and F/O A. J. Askew [RNZAF]. They are noted as having been heard to say “baling out” and in fact, both survived the crash of their Mosquito, becoming prisoners of war. Likely, their aircraft came down near Barchel. The fourth Mosquito lost is HP933 with F/O Peter Harold Burne [J88797, RCAF] and F/LT Allan Jerry Vickers [J13115, RCAF]. She was hit by flak near Hüttenbusch / Worpswede and exploded in mid-air. The remains of both crewmen were initially buried at Geestmünde. Last but not least, Mosquito HR177 fails to return with F/LT David Potts [129379, RAFVR] and F/SGT Frank Valentine [1625056, RAFVR] at the controls. Both were initially buried at the cemetery of Ostermede (today known as “Osterwede”), south-west of Bremervörde. She most likely crashed near Brillit, the next village to the west of Osterwede. The first Mosquito lost is HR355, flown by S/LDR McCall and P/O Caulfield. Both survive the crash of the Mosquito and become prisoners of war. The above match is made under the assumption that the aircraft of the squadron may have operated in one specific area and that other aircraft lost in this area are identified in the listing, leaving only this one entry unmatched. Next, Mosquito PZ406 with F/LT Edward Leonard Jones [131857, RAFVR] and F/O Gerwyn Phillips [153228, RAFVR] is lost. This crew is not so lucky – both airmen are killed. The initial graves are located at the cemetery at Lehe, south of Papenburg. The third Mosquito lost is PZ416, flown by F/O Robert James Rex Owen [171378, RAFVR] and P/O George Thirlwell [165656, RAFVR]. 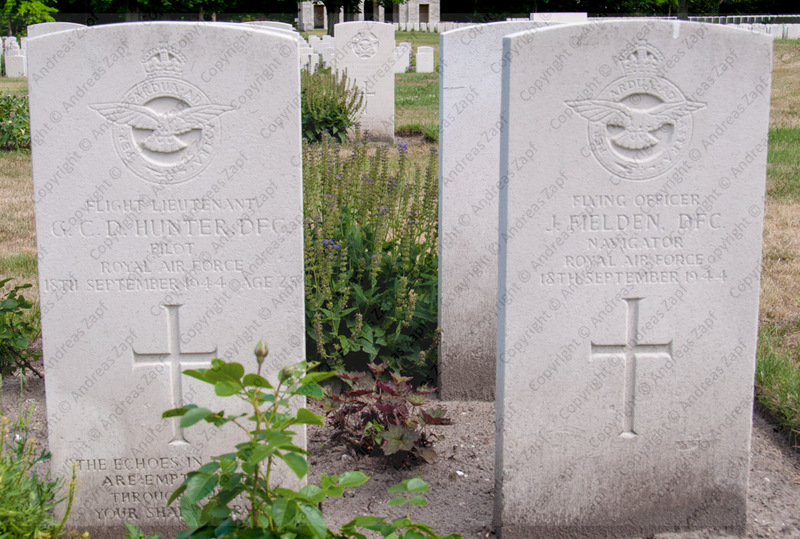 Both are killed in the crash, their initial graves located at Lehe cemetery, south of Papenburg. This Mosquito is followed swift by PZ409, flown by F/LT Jack George Enticott [129748, RAFVR] and F/SGT Derek Cecil Hinton [1602154, RAFVR]. While the navigator survives the crash by baling out, the pilot, F/LT Enticott, is killed. The crash location is said to be located near Eelde airfield, supported by the fact that F/LT Enticott is today buried at the Eelde General Cemetery. A little bit later, another Mosquito is lost, HR205. She is flown by F/LT Archibald Vincent Rix [109142, RAFVR] and F/O Robert Burrows [154847, RAFVR]. The Mosquito is damaged by flak and is belly-landed at RAF Blackbushe where is is rated as “damaged beyond repair”. Both crewmen escape the wreck unharmed. Another three Mosquitos are lost to No. 613 Sqn. RAF – the first one being LR338 with F/LT David Walter Thomas Stealey [66552, RAFVR] and F/O Arthur John Backshell [154555, RAFVR] at the controls. The crew is still “missing in action”, both are remembered at the Runnymede Memorial. Also lost is Mosquito RS563, flown by F/LT Albert Eric Arnold [116563, RAFVR] and F/O Arthur William Higginson [163646m RAFVR]. Their initial graves are located at Hohn near Rendsburg. Finally, Mosquito NS899 is lost, flown by F/O Harold Maurive Dean  and F/O Muir. Both are indicated as “safe”, meaning they not only survived the loss of their aircraft but also walked away from the landing on own territory. So back to Kurt Welter and 10./NJG 11: none of the Mosquitos lost during “Operation Clarion” – at least those, that I was able to identify – are lost anywhere close to Kurt Welter’s area of operations. Most of the Mosquitos lost are attributed to anti-aircraft fire – or “Flak”. None of them is remotely connected to a claim of a Messerschmitt Me 262 as Welter and his men flew them. So far, there is no conclusive evidence available that suggests that Kurt Welter and 10./NJG 11 have been operating against the Mosquito raiders of “Operation Clarion”. Leave alone that any of them would have scored a Mosquito…or five. 7. ↑ The Grave Concentration Report Form lists an “unknown navigator”, died on Januar 10, 1945, which is a strong indication that – if correct – this identification in fact might be incorrect. On Sepmber 2, 1944, a lone Mosquito of No. 544 Sqn. RAF, flown by F/O Harry Woods (Serial: 139965) and F/SGT Philip Bullimore (Serial: 1545776), is on a long-range reconnaissance mission down the river Elbe. West of Jüterbog, the Mosquito is intercepted and shot down by a Messerschmitt Bf 109, flown by Ofw. 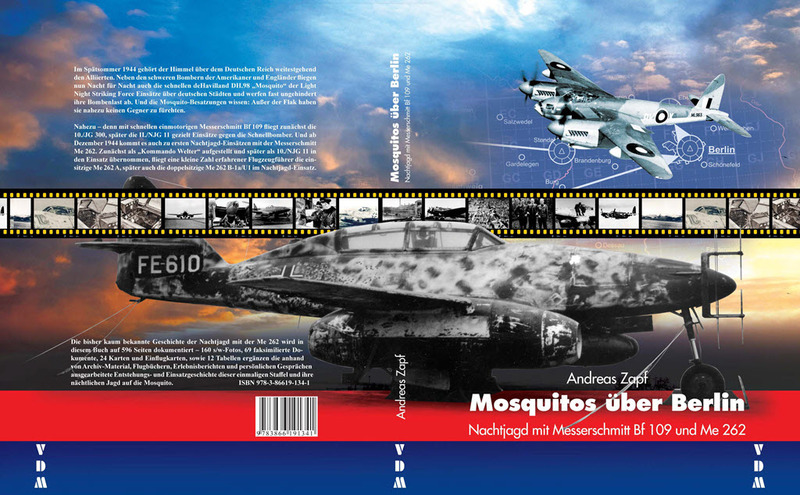 Heinrich von Stade, 10./JG 300 – a unit specialized in Mosquito hunting. 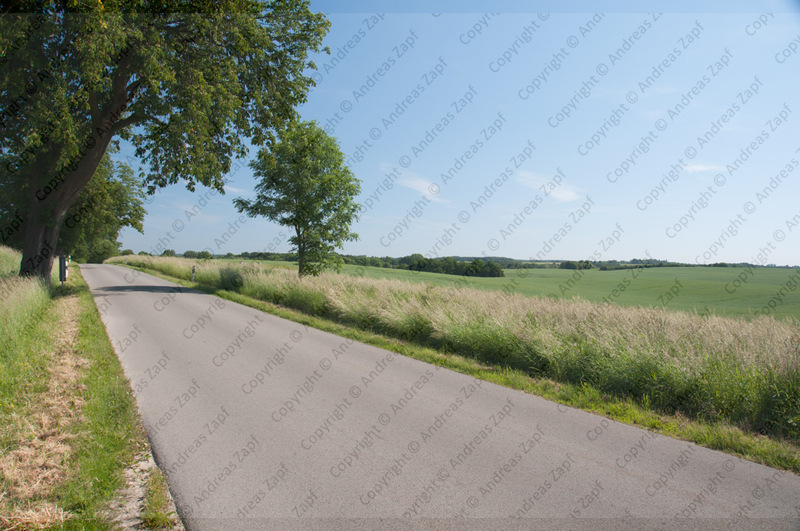 The crash site is documented as “Weddin, 12 km NE of Wittenberg”. 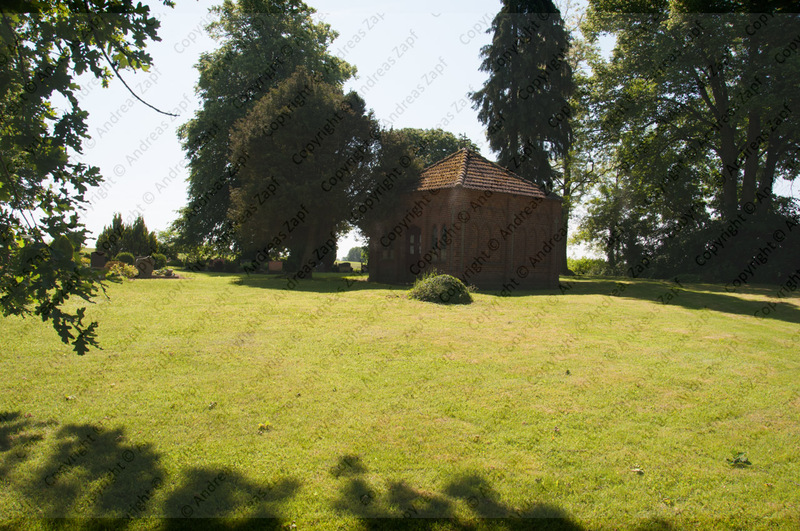 Both crew members are killed, they are initially buried in the church yard of the tiny village. I have recently visited the village of Weddin to take photos for a book project. To the south of the village, the vast woodlands of the Korpstädter Heide are covering the landscape, frequently interrupted by farm fields. To the north, west, and east, open country with fields dominates. The village itself is tiny, probably only 20 – 30 houses. It is a remote, very quiet place and today, it is hard to believe that it was the staging area of a Mosquito loss and subsequent burial about 70 years ago. 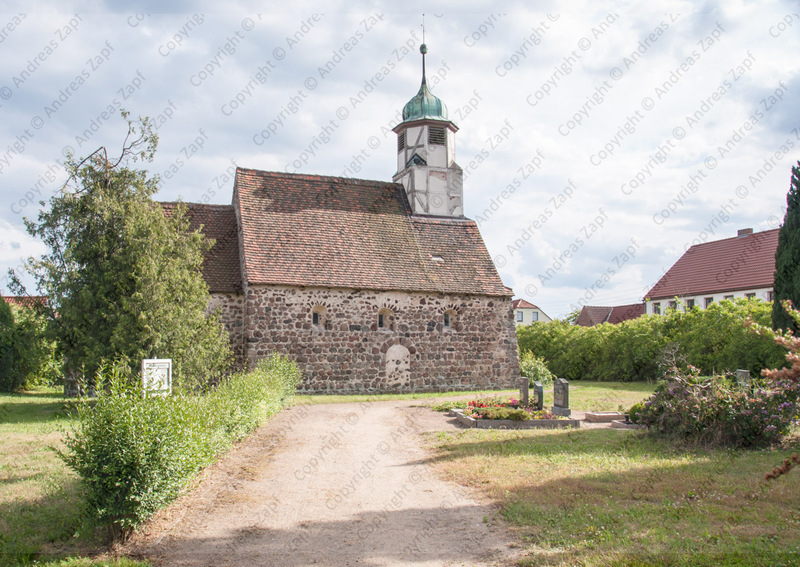 The only cemetary on the village is in the church yard of the small church – the size fitting the size of the village. The crew now rests on the British War Cemetery in Berlin, both graves have been photographed. any detailed information with provisioning of the originating source that states where exactly the aircraft came down. any detailed information incl. publishable photographs of the two crew men – their backgrounds, their education, families, etc. On September 18, 1944, a Mosquito of No. 544. Sqn. RAF, flown by F/LT Geoffrey Colin Devas Hunter, DFC, (Serial: 126596) and F/O John Fielden, DFC, (Serial: 141154) left her base at Benson/UK at 11:55 hrs. for a mission to northern Germany. The Operational Records Book of No. 544 Sqn. states: “Objective: Targets at Hitzacker, Hamburg, Lübeck, Parchim.” – the aircraft failed to return from the mission. 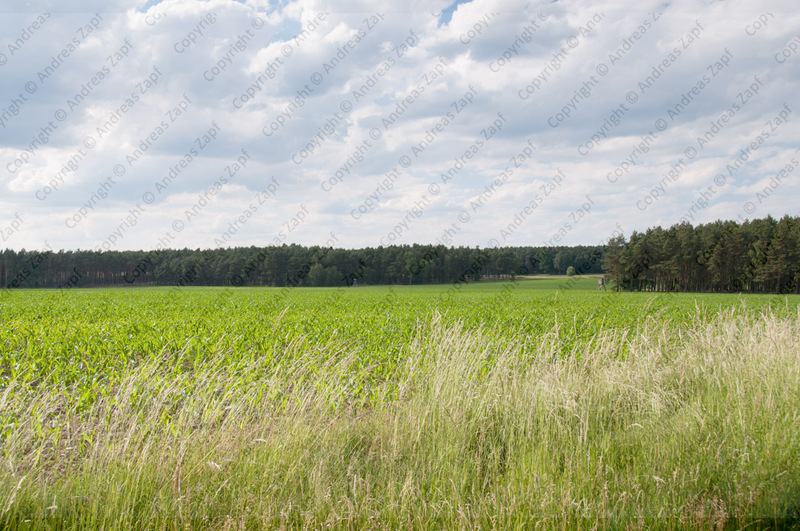 The Commonwealth War Graves Commission lists their initial burial site as the cemetery of the small village of Meetzen, south-east of Lübeck, west of Schwerin in northern Germany (see here). German documents show the crash of a Mosquito at 15:07 hrs. between the villages of Holdorf and Meetzen, 4.5 km NW of Gadebusch – the Mosquito disintegrated mid-air and burnt on ground impact. Clear evidence of a fighter attack is noted. The claims of the Luftwaffe do not include a matching entry but sources attribute the loss of the Mosquito to Lt. Joachim Weber from EKdo. 262 who supposedly claimed a Mosquito that day (the only one). I have recently visited the approximate crash site – or more prescisely: the road between the villages of Meetzen and Holdorf. 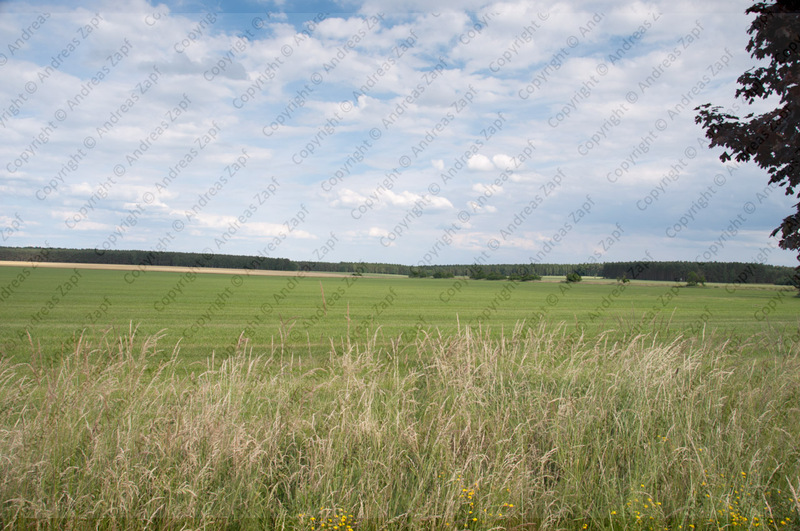 That part of Germany is wide open country with miles and miles of farm fields in between. The roads are usually lines with big old trees and the villages are remote and tiny. I have also visited the small cemetery at Meetzen where the two crew members were intially buried – like the village, it is a tiny, peaceful place. Both crewmembers have been relocated after the war, their final resting place is the Berlin War Cemetary at Heerstrasse. Can anyone provide conclusive evidence of the claim made by Lt. Joachim Weber? Is anyone able to provide background information including publishable photos of the two crew members? Does anyone have a more detailed location for the crash or material from German archives that would help to isolate the exact location where MM231 came down? In preparation for an upcoming publication, I am looking for personal information on members of the Light Night Striking Force that got killed, went missing or were taken POW during missions to Berlin in late 1944 and 1945. I have compiled a list of air crew members in question and I would be gratful if you would contact me by eMail at andreas@andreaszapf.de if you can and are willing to provide publishable background information. I just want to try and honor these man and their Luftwaffe adversaries by describing them as more than just a name or number on a listing.